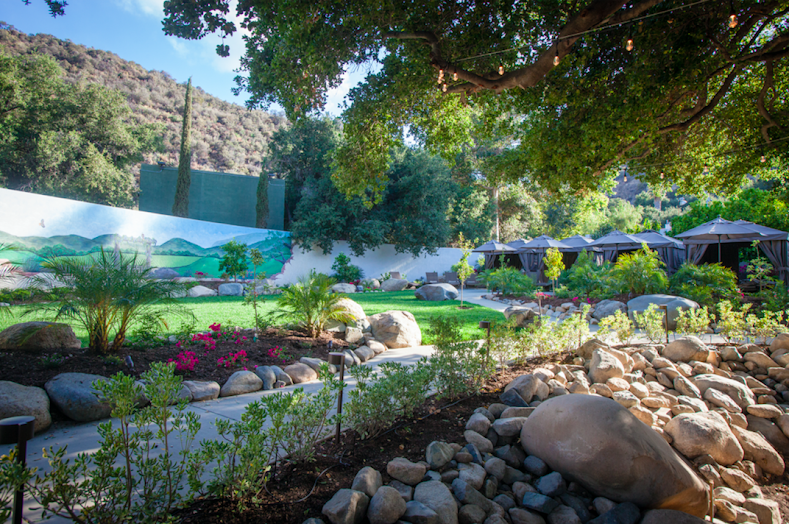 Glen Ivy Hot Springs unveils a New Secret Garden! Glen Ivy Hot Springs is unveiling a new Secret Garden in June plus extended Twilight hours, offering guests an opportunity to explore an exciting new oasis (perfect for events) on the grounds! We ventured on a weekday to Glen Ivy which is located in Corona, Orange County. 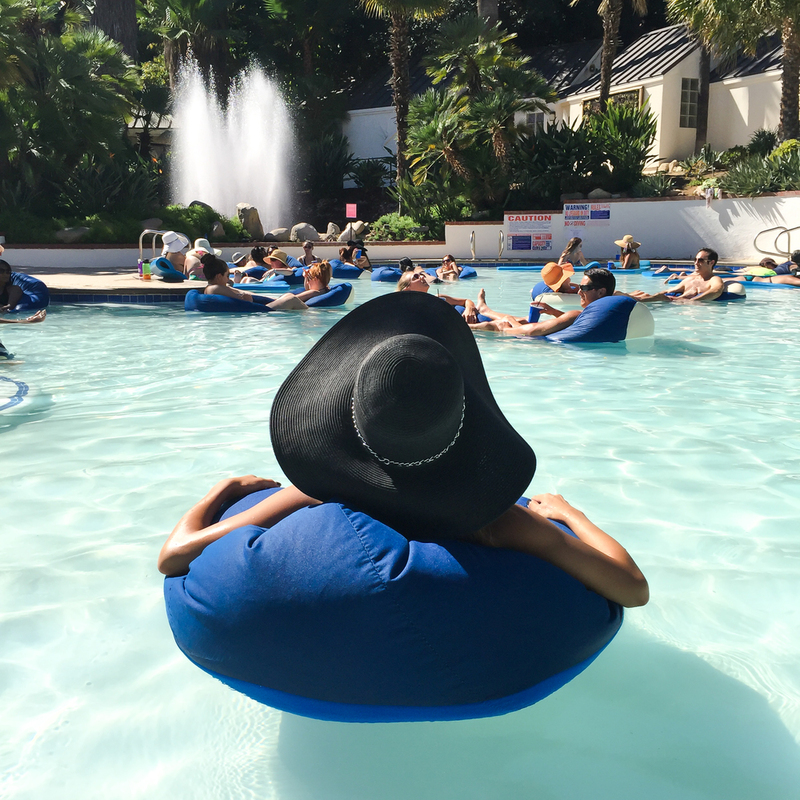 This hot springs oasis is a hidden gem. We loved the natural mineral springs, and the mud room. Their restaurant, Ivy Kitchen, is lovely and we were obsessed with the food choices! For dinner we opted for the burrata and fresh tomatoes starter and the ahi tuna with their spicy jalapeño mango margarita for our main course! The serene and expansive garden presents the perfect place to relax under a canopy of oak tree branches or enjoy private cabanas surrounded by fruit bearing trees. Reserve a Secret Garden Cabana to enjoy a selection ofseasonal fruits, citrus infused water, and hosted service from a dedicated cabana menu. Guests of the Secret Garden will also receive luxurious bath robes, reserved parking and access to sun loungers. Helloooooo relaxation! This is a great day-cation idea if you’re heading down to the OC or just wanting to get out of LA for a day. We will definitely be heading back to check out their spa services. 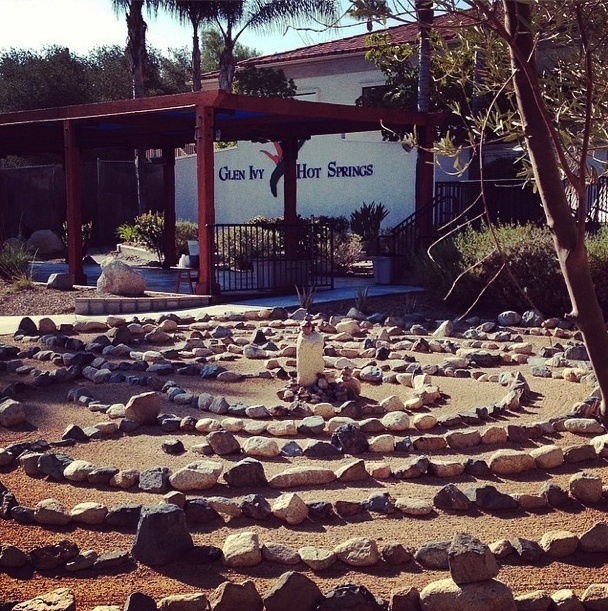 Next time we’ll be reflecting on our relaxation goals pre-entering at Glen Ivy’s very own meditation circle. Want to see more? Visit Glen Ivy. 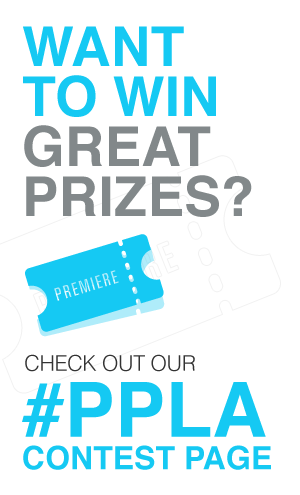 Check out our editors social posts HERE and HERE!